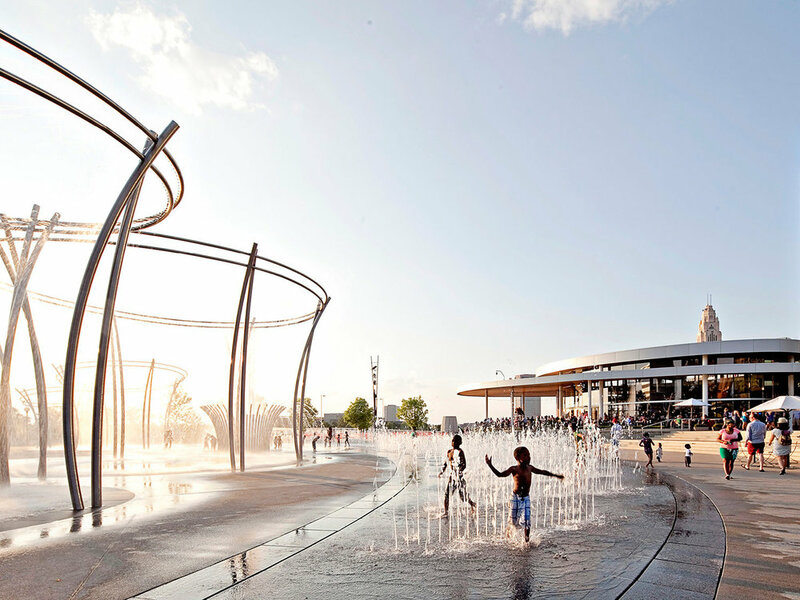 The new riverfront promenade and bicentennial park that inspired a city to reengage with its riverfront. 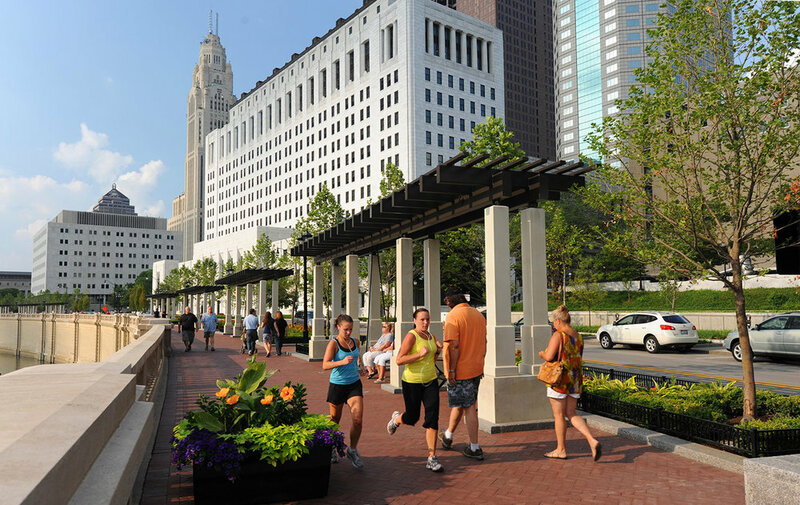 Located in the heart of downtown Columbus, the Scioto Mile connects North Bank Park to Bicentennial Park through a pedestrian-friendly Promenade that runs south on Civic Center Drive from Broad Street to the Main Street Bridge. 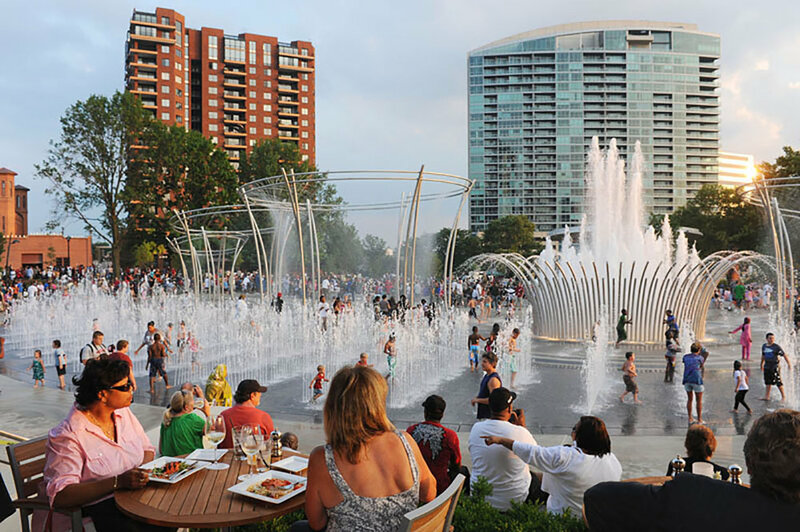 Intimate garden plantings, comfortable seating areas, relaxing park swings, and elegant bronze fish fountains have made it the most romantic place to watch a sunset in Central Ohio. 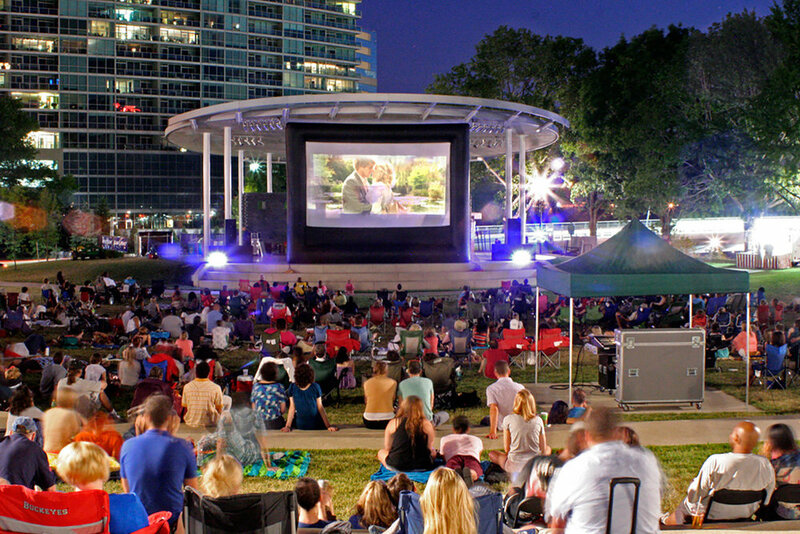 The Scioto Mile set the stage for the Scioto Greenways project, which unearthed another 33 acres of greenspace and returned the river to its natural flow.